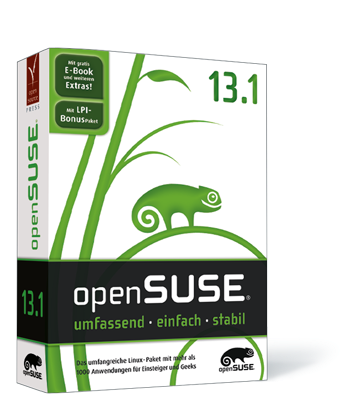 Yes, openSUSE 13.1 isn't out yet, but people who've installed RC1 and upgraded via the repositories are very close... So let's call that 13.1_almost, for now. And 13.1_almost has a bit of an issue if you are a Skype user. When starting up Skype you might very well be greated with a very loud and unpleasant sound coming out of the speakers. See this blog for some background information. I am hoping we can get an update in to fix this, but for now - if you suffer from it, use this as a work-around. 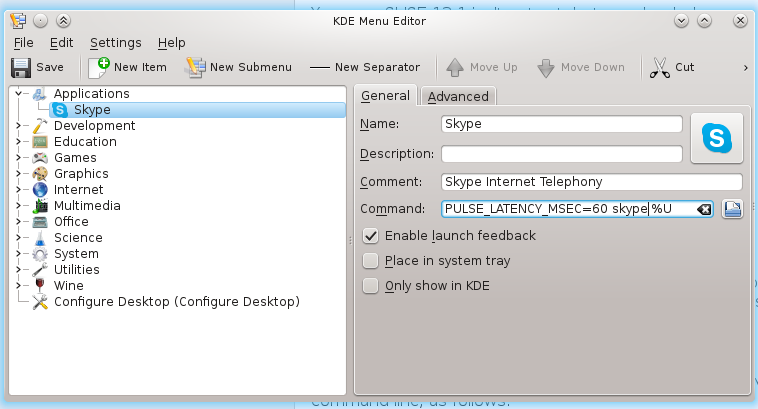 Then, locate the Skype application and add the "PULSE_LATENCY_MSEC=60" in front of the command.